LATER this year Victorian woman Helen Perikkentis will board a plane bound for the Whitsundays, but it won't be a holiday she's seeking. Instead she will meet a Bowen man who through a selfless and courageous act almost six decades ago, altered the course of her destiny, and that of her family's. "I want people who live where he lives to know that he is a hero," she said. "He put his life on the line to find me and I was a complete stranger to him." 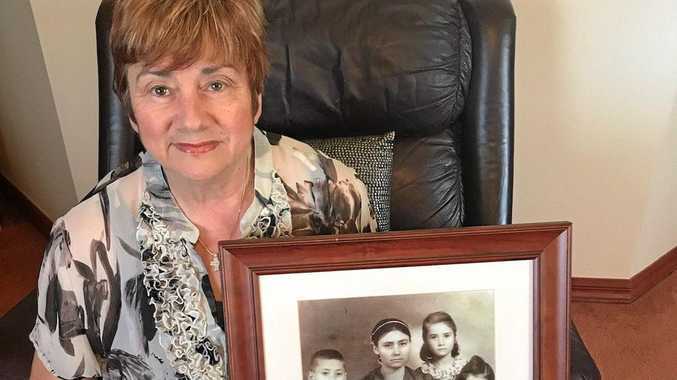 Mrs Perikkentis was five when her family left Cyprus to begin a new life in Australia in 1959. The journey took them through Egypt where Mrs Perikkentis, her mother and three sisters aged 10, 11, and 3 boarded a ship leaving from Cairo. But Mrs Perikkentis almost never made the voyage. "We were waiting to board a ship to come to Australia, then all of a sudden I disappeared," she recalls. "I remember turning a corner and a man and a woman who were nicely dressed gave me lollies, then they grabbed me on either side. I was screaming saying 'I want my mother, I want my mother". Upon her disappearance, Mrs Perikkentis' mother began a frantic search to find her daughter. Anxious and distraught, she caught the attention of 15-year-old Miltiades Neothyton, also from Cyprus, who was standing outside his hotel waiting to board the very same ship. "This woman was crying and she was holding onto her kids very tight and everyone was trying to calm her down because there wasn't much time before the ship departed," he recalls. "I'd developed a friendship with one of the waiters at the hotel who served us dinner and breakfast. So I asked my friend if he could help me find her and he said yes ... so we just started walking." The area was buzzing with activity, and with no real direction to go by they began roaming the surrounding streets. During the search they came upon a large building with steps outside that led down to a large foyer. A group of people stood within, and sitting alone on a table in the centre was Mrs Perikkentis. "I saw her and I yelled 'there she is.' Then a group of people turned around and ran. So I walked in and picked her up, then walked her by the hand back to her mother," he said. Mr Neothyton said his friend told him afterwards that he'd recognised the group as criminals and said they would've sold Mrs Perikkentis to the highest bidder. To this day he has no idea what prompted him to search for the girl, saying only that he had a feeling he'd find her. The two safely boarded the ship and over the next 59 years fate led the pair to opposite ends of the country. Mrs Perikkentis married and settled in Victoria while Mr Neothyton moved to North Queensland and opened a motel in Bowen. But neither ever forgot the incident. "I always wanted to meet her, but I didn't know how," Mr Neothyton said. "Maybe that's the reason I always told the story, so someone one day who knows her would hear it." While attending a family function earlier in the year, Mrs Perikkentis found herself talking to man who holidayed in Bowen every year. The man spoke about a friend who saved a young girl from kidnappers while in Cairo en route to Australia many years before. "As soon as he said that I felt a shockwave go through my body," Mrs Perikkentis said. "I said the girl is me." 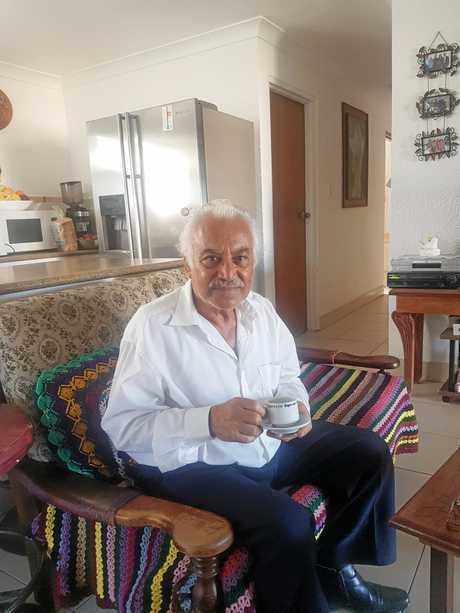 After obtaining his contact details, Mrs Perikkentis placed a phone call to the Milton Motel in Bowen, at which point Mr Neothyton picked up the phone. "She started talking and I just said 'oh my god," Mr Neothyton said. I felt tears in my eyes, I never stopped thinking about that girl. I always thought of her like a daughter and wondered what happened to her." On December 26, Mrs Perikkentis will touch down at the Whitsunday Coast Airport where she will be greeted by the man that saved her life. "I'm overwhelmed I'm going to meet him after 59 years," Mrs Perikkentis said. "I always wondered what happened to him and there wasn't a time over the years when I didn't think about him or his family. "Someone could have bought me at five years old and raised me up and made to be a slave. "But he allowed me to grow up with my family which is the most precious thing of all." Mr Neothyton thinks the encounter was more than a coincidence. "That is the mystery. I feel that it was meant to be. I had no idea about Egypt, all I knew was where to go in the hotel to eat. To this day I think something was guiding me there. I think that's more likely," he said.